Personally I would not be lifting or fitting larger tyres to a modern 4WD. Too many computers monitoring too much and designed to interfere with the car if they detect anything they do not like. If I can't add Mods to look cool or for improved off roading WHY would I purchase it. 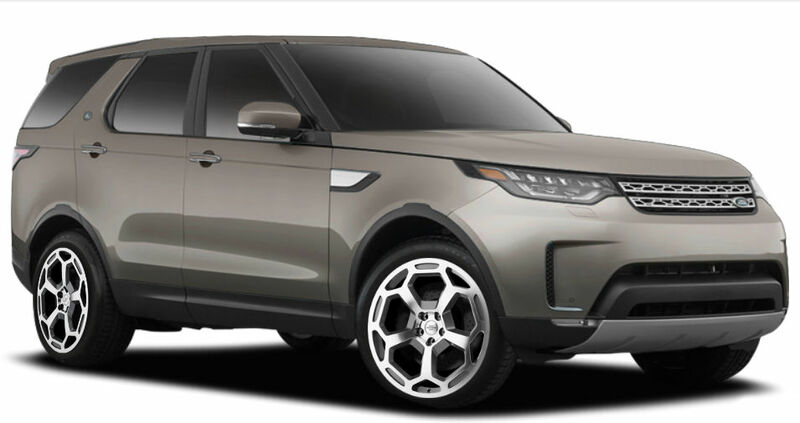 As I have been saying forever .. Land Rover's core customer base wants utilitarianism and rugged looks. Not a soccer Mom car. Last edited by WLADiscoII99; 10-30-2018 at 05:05 PM. His original concern was a regulatory issue in Oz, not a design issue. Many, including me, have added larger tires with no problem. The accessory market is spinning up - lifts already available; winches, light bars starting to show up too. Expect rock sliders and skid plates soon. The great thing is, it looks modern but it's tougher and better than its predecessors in all driving conditions. So it's a "sleeper" - especially the diesel. Doesn't look like a "soccer mom" car to me - no more than all the LR3's and 4's driven by actual soccer moms do. Hell, in Colorado, a soccer mom is just as likely to drive a Raptor as a Land Rover. Have passed several D5's offroad already in CO, one with a lift, all had +1 or +2 tire sizes and aggressive AT's. All but one were diesels. Discovery 5 lift kit - 18 inch wheels for 4 cyl. 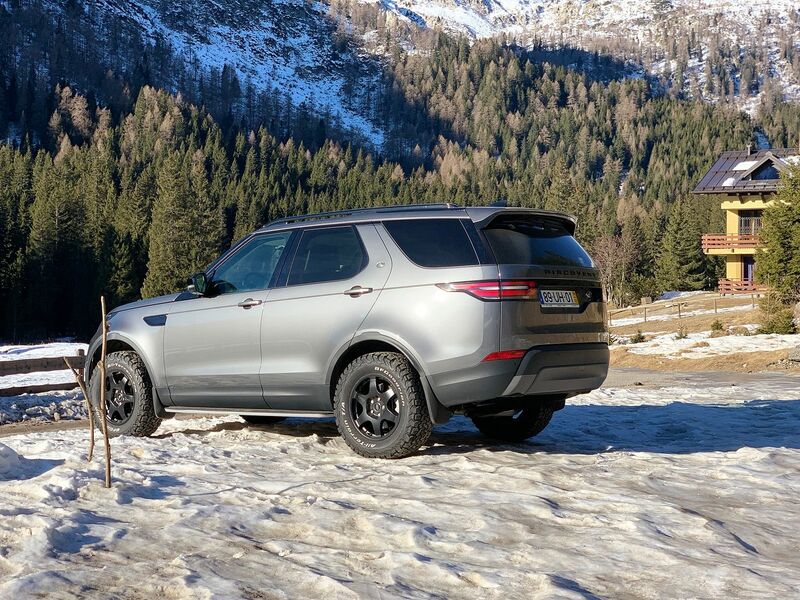 Update on the 18" wheels for the Discovery 5. The wheels at tested here on a 4 cylinder work but the 6 cylinder has larger rear brakes and will not fit. With the 1.5 inch Johnson Rod lift you can fit a 275-55-20 which is still good for off road use. Hopefully Compo will find a solution for the six cylinder. The Lucky8 guys say they've test fitted 18" wheels on their D5 and they run Atturo Trail Blades. Since the 4cyl models aren't available in the States I assume they've fitted them on a model with the larger brakes. I don't think they're Compomotive wheels though. Land Rover Las Vegas sells D5s with Johnson Rods and 285/50-20 tires and there's still plenty of room. When I get the Johnson Rods installed my plan is to install LT285/55-20 Nitto Terra Grappler G2s mounted on Redbourne 20" x 9.5" wheels (picture from Redbourne configuration page shows what my D5 will look like with the wheels). The LT285/55-20s have the same tread width as the 285/50-20s but the radius is 0.55" greater, which won't be a problem. Land Rover Las Vegas sells D5s with Johnson Rods and 285/50-20 tires and there's still plenty of room. But you get a lot harsher ride and reduced wheel travel. Since I have no intention of ever tackling the Rubicon Trail in my D5 I don't need extreme wheel travel. What I need for the thousands of miles of unmaintained off-highway desert roads in Nevada, California, Utah, and Arizona is maximum ground clearance and strong, puncture-resistance dirt-grabbing tires. I have Nitto Terra Grapplers on two trucks. The ride in both is not at all harsh and the tires are very quiet on the highway (unlike the highway drone of other off-road tires I'm familiar with). Bumps in the road may be more noticeable with Nittos in the air-ride Disco but I didn't buy the Disco for its cushiony ride. Lift rods won't do anything to increase the ground clearance available in your D5 - it just tricks your air suspension into keeping you at off-road height. As others have said it actually reduces wheel travel. You can already run 275/55-20's without the lift - those will be good enough for what you say you'll do. Having spent a lot of time in Nevada and the Four Corners, for desert runs on graded desert roads with occasional washouts, sand pits, and ruts, I'd prefer a tire with Kevlar armor on the tread and sidewalls such as the GY Wrangler All Terrain Adventure - something that's impact resistant, cut resistant, and with a good gravel-shedding tread design that's not super-heavy to keep the suspension as responsive as possible. That will generally be a good tire as long as you're not on razor-sharp caliche. Unless you want to vibrate your teeth out, you do not want the increased roughness in ride that those rod lifts will give. 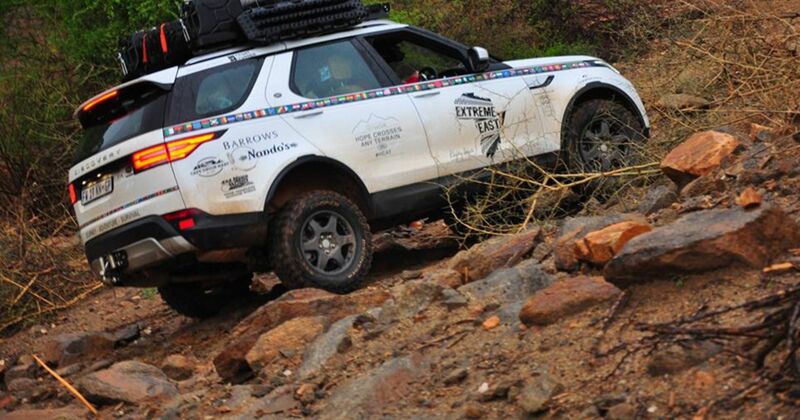 It is on the rough roads that you want a nice soft suspension, not a stiff one. The nice thing about Johnson Rods is that it's an easily reversible modification, though a computer wheel alignment is required post-mod/de-mod. All of the posts to this thread are data, for which I'm grateful. I already have the Johnson Rods and five new 20" x 9.5" Redbourne wheels, onto which I've installed new TPMS valves. But since I just had the 16,000 mile service done, the stock tires (which are excellent) still have plenty of wear left and I'm not quite ready to retire them. I expect to make the switch in May or June and will post the results to this thread. A first-person test is worth a thousand expert opinions. The stock Goodyear Eagle F1's? I junked them after less than 3 months. A rock the size of the end of my pinky finger resulted in a flat at 11,000+ feet in a snowstorm on a forest road a Subaru could drive. It was embarassing. They're great for road driving, but I would not take them off-road for anything. Thank God I skipped the 3rd row in favor of a full-sized spare. Actually the ride on road and off road is very good. I have so many customers using it off road and they have no complaints so the people actually using them are very happy with the results. This is why Land Rover dealers around the world are using Johnson Rods 1.5 inch lift kit for the Discovery 5. Well, I did the swap (including the spare) 2 days ago, and you're right. The nicks and scuffs on the stock tires at 16,750 miles--probably from driving on unmaintained desert dirt roads--showed how unsuitable they were for anything but paved surfaces. I calculated that 285/50-20 Nitto Terra Grappler G2s mounted on Redbourne 20-inch x 9.5-inch wheels would fit without requiring Johnson Rods, and I was right. Not only that but they look absolutely spectacular. My service rep at the dealership raved about them when I took it in for a 4-wheel alignment yesterday (pictures to follow). The ride is a bit harder (which I like--the Goodyears were too soft) but the handling improved noticeably, with crisper steering and flatter cornering. Haven't ruled out installing Johnson Rods later, but for now I'll leave it as is since my spousal unit is the primary driver. Its a good choice. I find most people installing the 275-55-20, that being said you can't go wrong with the 285-50.